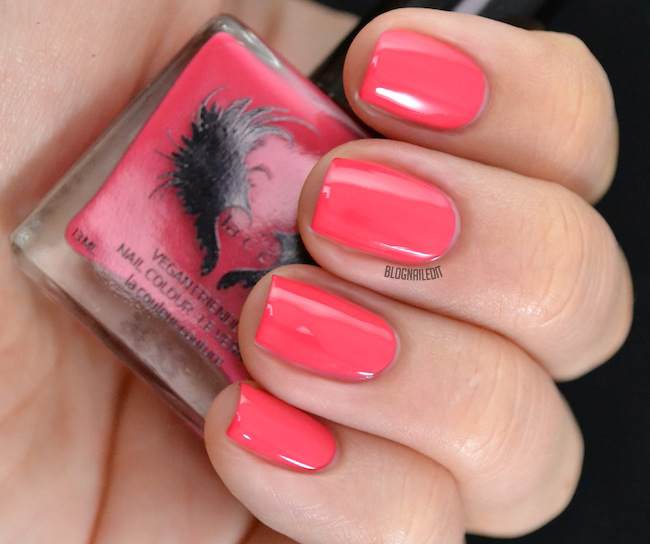 Tonight's post has a wonderful rainbow of colors from a polish brand called lacc, which stands for la couleur couture. Forgive my French...but I don't know French. Headquartered in Vancouver and manufactured in New York, la couleur couture is devoted to providing you the highest quality nail lacquers that are cruelty free, and without the use of harsh chemicals and toxic ingredients, according to their site. Vegan, breathable, gluten and paraben free, our products are made without formaldehyde, formaldehyde resin, DBP, camphor and toluene. Just as a note, nails don't breathe. The nail plate is made of protein, which doesn't breathe. That's good new for you, because you don't need to leave polish off of your nails to let them "breathe". That aside aside, I had a fairly good experience with these polishes. Some were streaky, which I mention below, but I really enjoy the rainbow of colors, even though their names aren't as colorful as they are. The East meets West Coat colors inspired me to do this nail art. This is 1992. Oh my GOD what a perfect pretty pale pink. This creamy pale pink was a bit streaky, and required 4 coats to reach this level of opacity. It did dry very shiny when all was said and done though, even without a top coat. This creme had no shimmer. The next pink is called 1957. Another 4-coat polish without very even coverage. The rainbow shimmer in it is a nice touch, but it's quite difficult to work with. 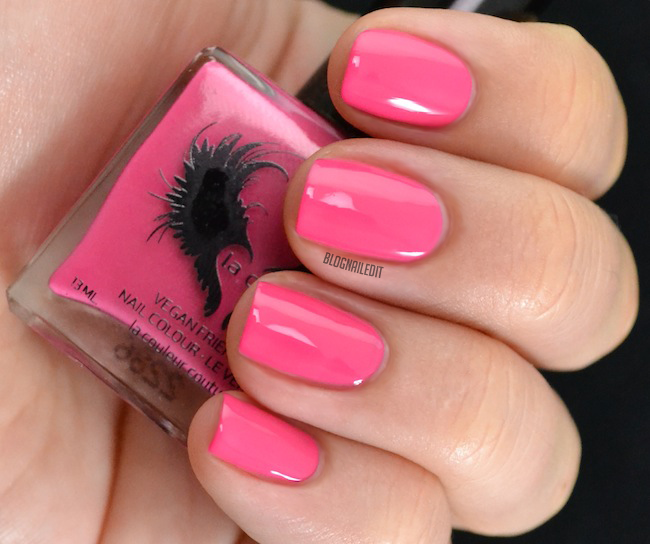 1950 is a lovely bright magenta creme. I needed 3 coats for this. 1960 is a rosy coral, slightly less purple than 1950. I needed 3 coats for 1960 too. 1963 is a sandy coral, brighter than 1960. I needed 2-3 coats, depending on my speed of application. It leveled quite well. If you're looking to add a cherry red to your collection, try this creme, 1945. It's the perfect red, and only needs 2-3 coats. 1964 is a burnt sienna that reminds me of the Southwest palette in states like New Mexico. It made a perfect piece in my nail art for this collection. I needed 3 coats for this warm creme. 2011 is a pearly yellow, but unfortunately it's pretty streaky. The shimmer is great, but the streak was hard to deal with. 1968 is a bright sage shimmer. You need 3-4 coats for 1968. Its level of streak was about a 6. Drink in this polish and how gorgeous it is before I destroy your dreams with the bad news. 1976 is the most streaky formula, and is terribly difficult to work with. It does have a light pink, irridescent shimmer, but after 4-5 coats almost not being enough, it's a huge pain. What a shame. I love 1977, a murky, soft teal. It's a solid creme with no shimmer, and needs 3 coats for opacity. This is the other color used in the nail art earlier. The final arch in the rainbow is 1972. This is a soft, dark lavender (darker than my picture shows), and is another pure creme. This was a 2-3 coat polish. 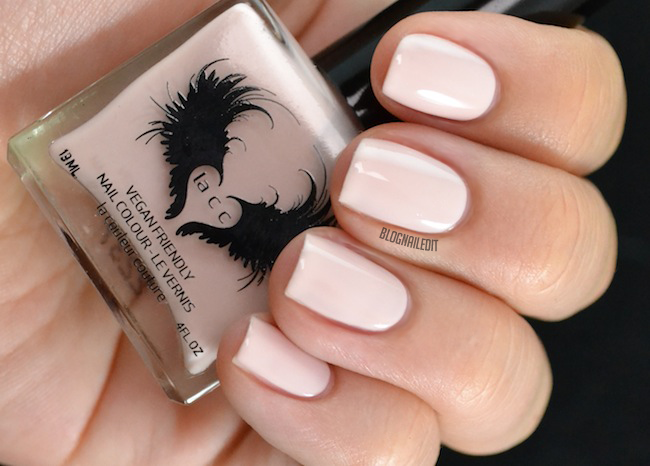 lacc polishes are available in the lacc beauty store here. for $14. That's a little steep in my opinion, but you can see how lovely some of the colors are! These products were sent to me by lacc beauty. The reviews are based entirely on my experience with the products and were in no way influenced by anyone. A shame about the formula on all of these polishes because they are all delicious looking colours. Great swatches and appreciate the honest review. I've been wanting to try them but also find them a bit pricey. One thing though regarding them being "breathable." From what I understand this is important to Muslim women, and if you google search "breathable nail polish" you will find some articles on this. I don't know if that was the company's intentions, but if that's the case, it's less about the nails needing to breath and more about having a permeable surface. How about that?! I had no idea that was an issue for Muslim women, so perhaps they did have that in mind when they marketed it. I certainly hope that any product that markets as "breathable" does so with the intention of properly marketing their product, and not claiming that it's better for nails to "breathe". Thanks for your comment, I'm a little wiser today because of it. 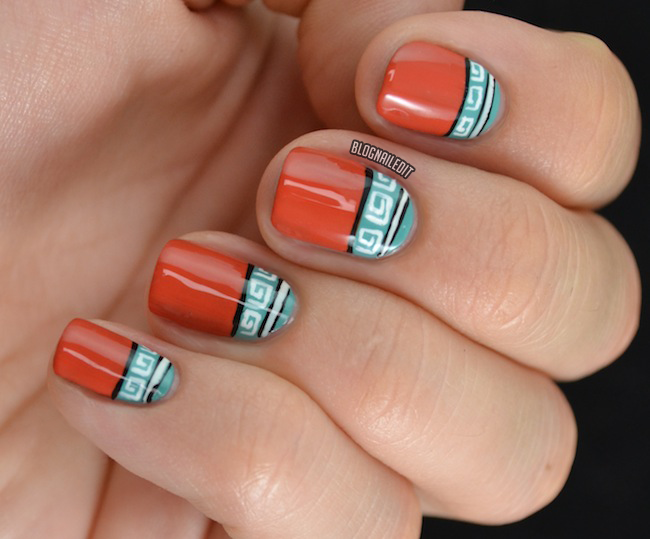 I love the nail design, it looks so fun! Thanks for sharing.